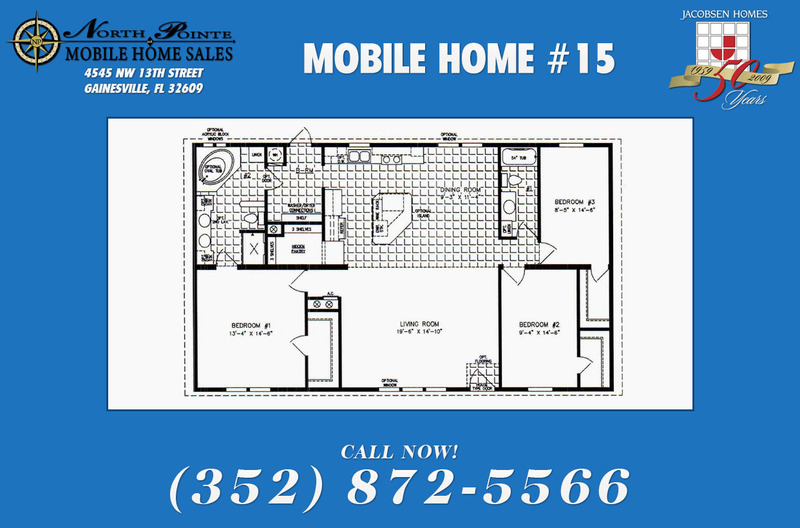 North Pointe Mobile Homes - A Mobile Home Super Center! 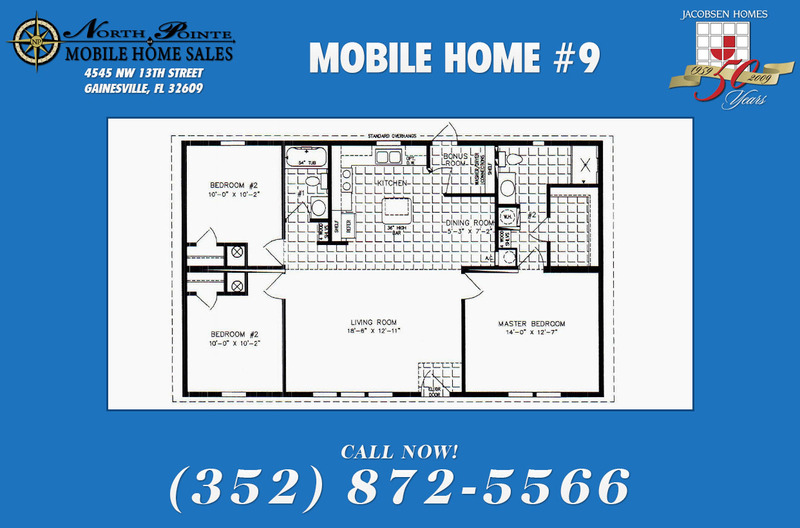 Make your next home a Jacobsen mobile home! to make your dreams of owning a home a reality! 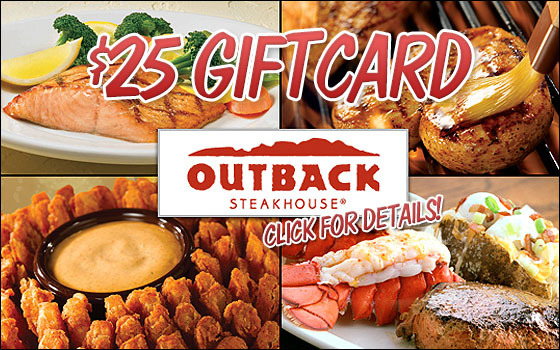 We have all kinds of specials as well as home & land deals! 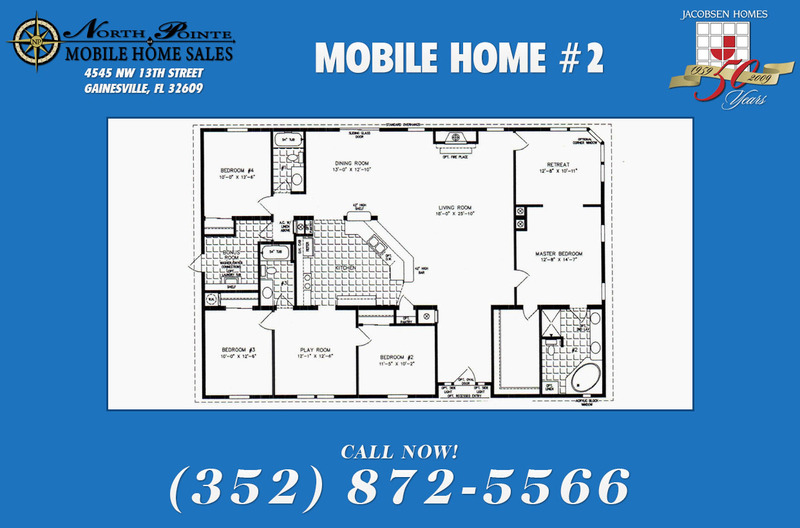 Contact us today and let us show you our mobile home deals! 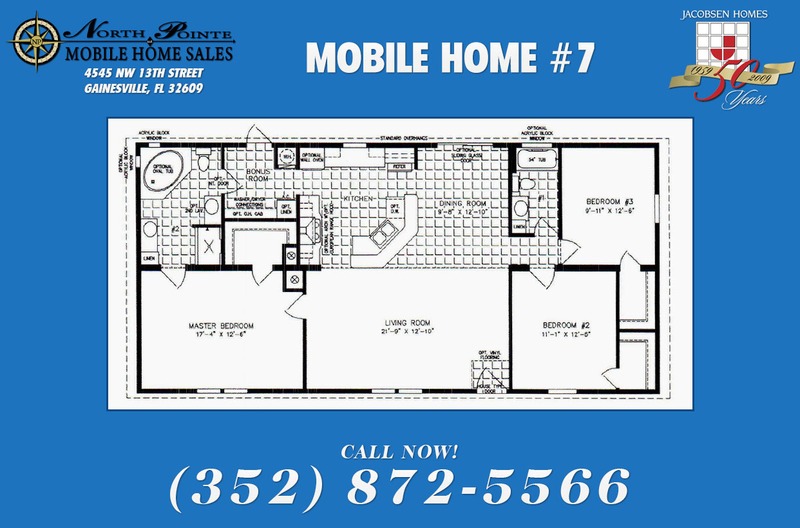 Call our Mobile Home Super Center in Gainesville! 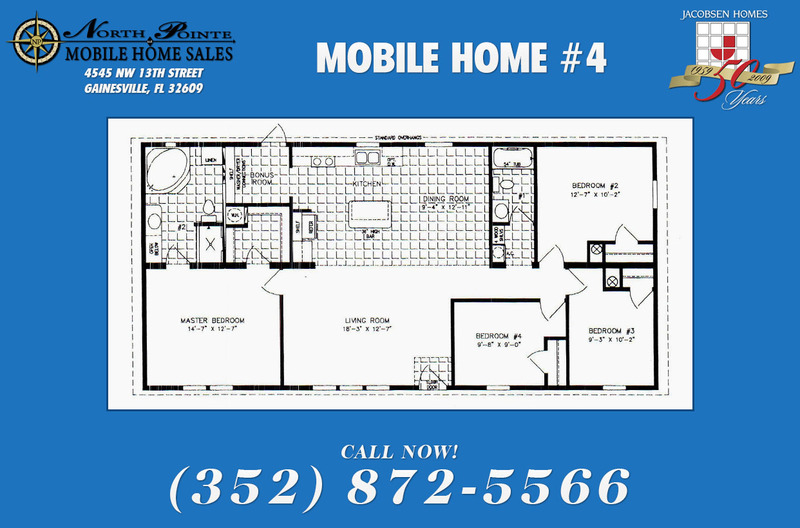 We offer the best quality mobile homes by Jacobsen Homes in Florida! 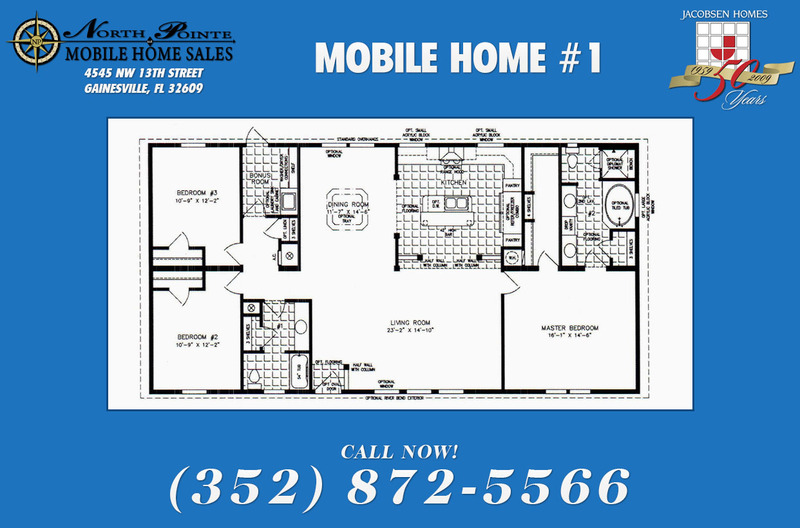 Welcome to North Pointe Mobile Home Sales! North Pointe Mobile Homes located at 4545 NW 13th Street in Gainesville, FL. Our professionalism and product knowledge allows us to provide the best quality homes at the lowest prices. We are committed to working just as hard, before our customers make a financial commitment, as we are after a financial commitment is made. 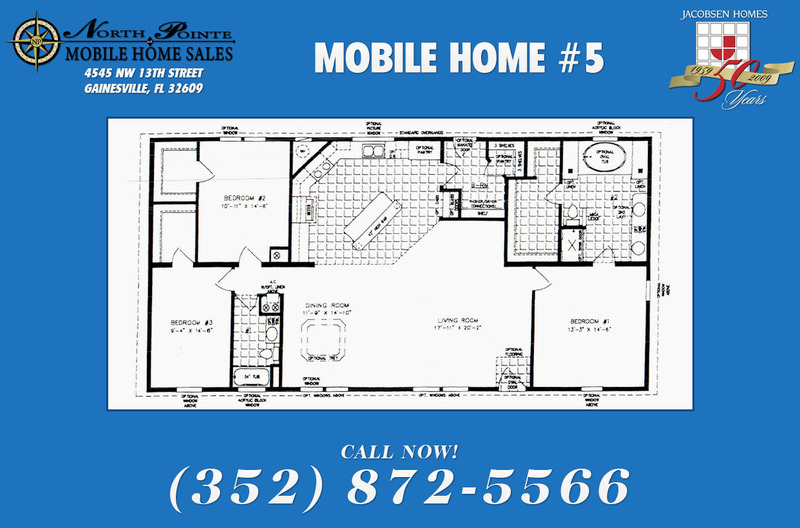 Come in and talk to us and see what North Pointe Mobile Home Sales in Central Florida can do to make your dreams of owning a home reality!